When most people think of Florida, they picture beaches, golf courses, and Disney. Here are some things you may not know about Florida that might help if you’re thinking about joining us in the sun. Moving on in, moving on out! Florida is known as a state in flux, largely thanks to the “snowbirds”, seasonal travellers who migrate to Florida from colder parts during the winter months. This flood of people in the winter months alters the dynamic of the state from summer to winter. What you might not know, however, is that on average, more than one million people move to the Sunshine State every three years. In addition, almost the same number of people move away from Florida every three years. From a real estate perspective, this means there are always plenty of buyers and sellers (and Realtors!) in Florida. While Florida is a popular destination for retirees, that doesn’t mean there are no young people in Florida – it’s actually a very popular destination for millennials who want to become homeowners. Florida’s Atlantic coastline, with warm and sunny weather year round and proximity to the beach, is particularly popular. Of course, you can find incredible key lime pie and gigantic stone crabs, but for those who are more adventurous, you should check out the “Floribbean” food scene. This is a mash up of cuisines with southern, Caribbean, and Asian influences – and it will make your palate sing! Because of Florida’s proximity to Cuba, the immigrant population has also made the Cuban sandwich (ham, roasted pork, Swiss cheese, pickles, and mustard on Cuban bread) a staple in the region. Buen provecho! 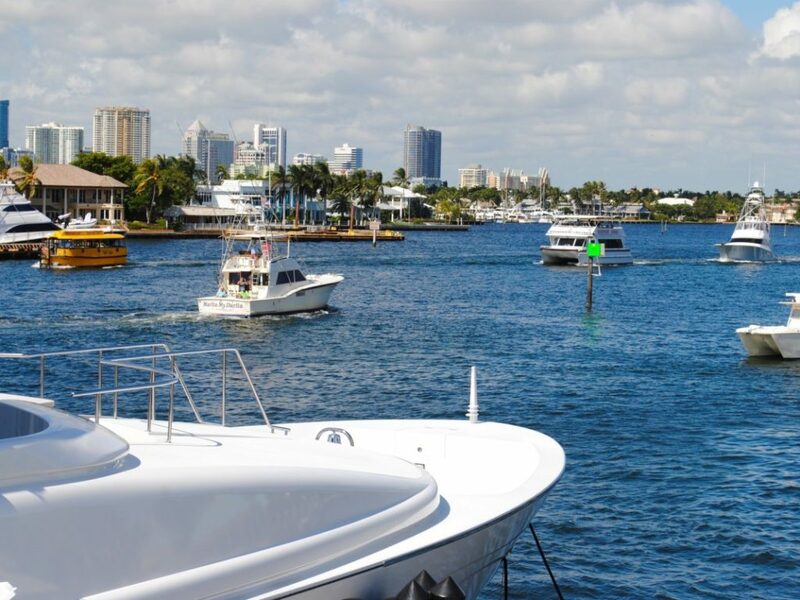 Just down the road from us here at Property Matters, Fort Lauderdale is home to more than 160 miles of intracoastal waterways, winding canals that lead to the ocean. The area is a haven for water recreations: head off on a pirate adventure, go deep sea fishing, or snorkel along the reefs. Fort Lauderdale has it all. The intracoastal waterways are an amazing way to see the city’s tropical foliage, or to marvel at the mega yachts and mansions along Millionaires Row! You can dine in style at one of many waterfront restaurants, with cozy outdoor lounges serving the freshest fare around. If you are interested in learning more about the area, get in touch with one of our local experts!